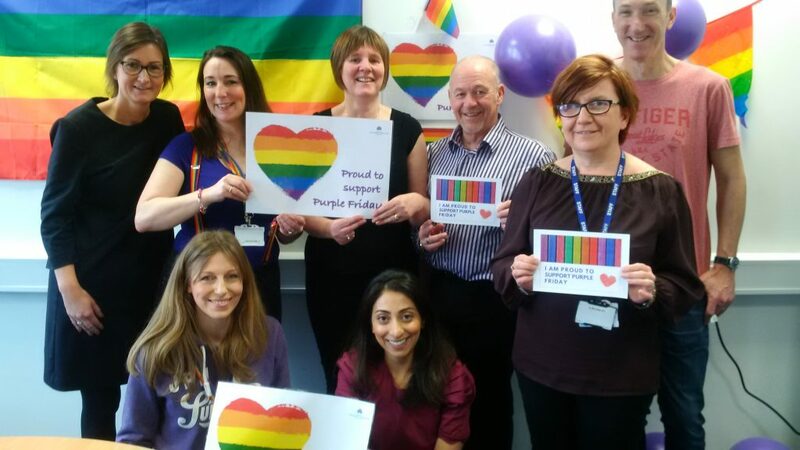 SCRA took part in Purple Friday 2019 celebrations on Friday 22 February. 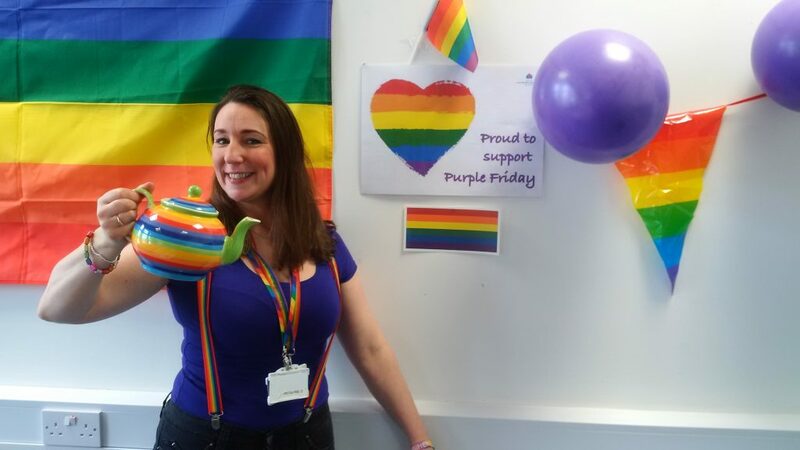 This is the second year SCRA has taken part in Purple Friday activities. 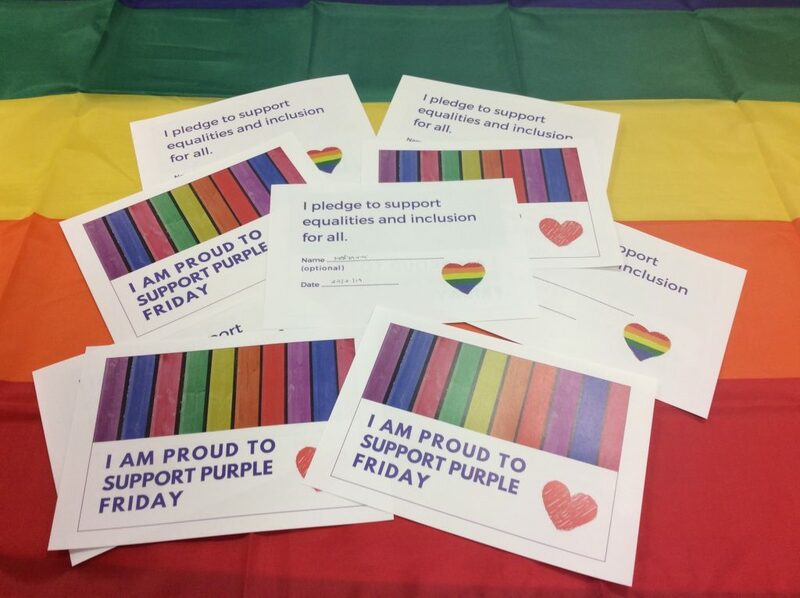 Purple Friday is a day to stand against homophobia, biphobia and transphobia and show our support for LGBT equality. 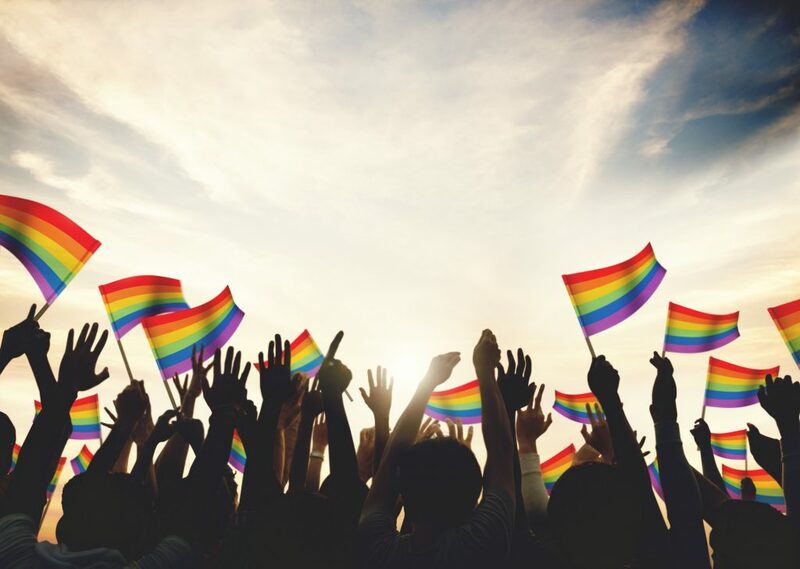 The day is named after the purple stripe on the LGBT rainbow flag which represents “spirit”. Activities took place in a number of SCRA offices including, Edinburgh, Dundee, Glasgow, Glenrothes, Paisley and Stirling. 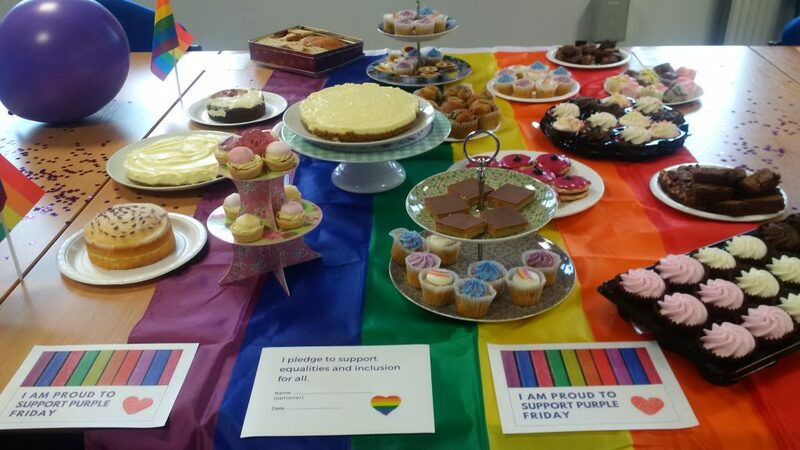 Staff dressed in purple, baked purple cakes and made purple mocktails and smoothies. 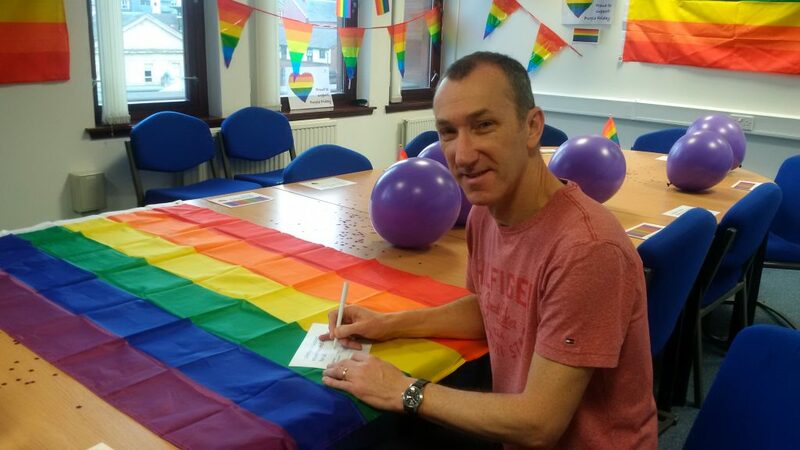 In addition, SCRA asked every member of staff to sign a pledge to show their support for LGBT equalities and inclusion. This is part of SCRA’s work towards achieving the LGBT Youth Scotland Charter. Equalities and inclusion for all!